When I reviewed the last disc from Gandalf’s Fist, I heaped some high praise on it. In fact, it was my favorite album from last year. So, it was with definite anticipation and excitement that I got this album, their newest. Well, let me say that this set is really quite a stretch from that release. While the last one was more Pink Floyd like, this one covers a lot wider musical territory. I haven’t yet decided if it’s as good as the last one. That said, it’s likely to be close to the top of my list for best album of 2012, so yes, it is great. It’s going to take some more time before I figure out if I like it better than its predecessor or not. 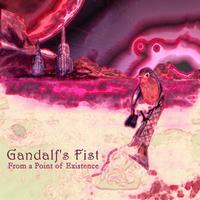 But, either way, Gandalf’s Fist have managed to put together another exceptional disc. These guys are proving to be a very exceptional act. The sounds of wind open this. Then we hear a weird calliope type of sound before acoustic guitar brings the vocals into the track. There’s an echoey, slightly distorted sound to the vocals and the music calls to mind the folkier side of Pink Floyd. The wind returns to end the piece. The first section of this suite comes in with tentative, rather mysterious progressive rock. “Part 1: Obscuration” works out to more traditional progressive rock from there, but layers of sound lend more mystery and drama as it continues. In some ways the rhythm section calls to mind mid-period Genesis for a time. It shifts to a darker sound, though, perhaps a bit like some progressive metal, but without a lot of the crunch. Rocking, but still rather distant, vocals join the mix. It does turn towards metal for a short time in a burst of energy, then drops down to more melodic music that’s rather mysterious. This works through a number of changes. Piano brings the second movement into being. That section (running about two minutes in length) is called “Part II: Ascension” and has a mellower, more purely melodic tone to it. It doesn’t lose any energy, though. It doesn’t wander a lot. “Part III: Purgatory” starts with moody, spacey electronic music. Then it fires out into something that’s very metallic. There are some guitar riffs on this section that even call to mind Iron Maiden. Near the end of the section, it drops back to some earlier themes for the next vocals. As “Part IV: The Fall” continues, the main themes return before they take it to a thrashy kind of metallic jam. 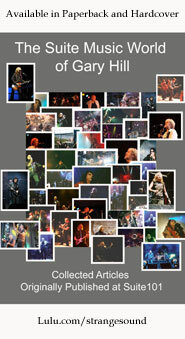 Metal is combined with progressive rock in a great arrangement as this continues. They really turn in a number of different directions and there’s some smoking hot metallic guitar soloing here. As the final section, “Part V: Otherworld” enters crunch progressive rock with spoken vocals calls to mind the proggier side of Queensryche a bit. It seems to return to some earlier themes while also stretching things out a bit. This eventually takes the whole suite out at around the sixteen and a half minute mark. Spacey melodic progressive rock, rather Pink Floyd-like opens this and grows outward gradually. A little past the one minute mark it shifts to a faster paced, almost metallic, riff driven jam that’s very cool. It works to a more melodic movement that has a lot of psychedelia in it for the vocals. It’s slow moving and quite tasty. There are a number of changes and varying motifs here, but it’s all a very organic and smooth ride. It’s also very entertaining. They take it to a soaring kind of jam later in the piece that gets a little metallic at times. It becomes rather symphonic as that movement continues and at times even feels a bit like a more fusion oriented version of Yes. Yet, the riff driven movement is more Dream Theater-like. That section takes it out. An acoustic guitar based, ballad style opens this, feeling a little like one of the ballads from an 80s metal band. At a little less than five and a half minutes in length, this is one of the shortest cuts on the album. 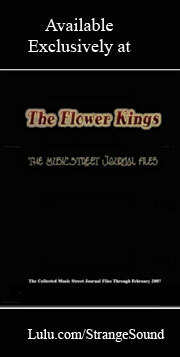 It’s also one of the most straightforward, feeling more like a classic rock song with some folk leanings. Some of the keyboards bring more of that retro Pink Floyd sound, but this is really an AOR jam that’s quite cool. Some of the harder rocking guitar on the piece reinforces that Floyd reference. There is some particularly tasty, classic rock styled guitar soloing later in the track. While that also has some hints of Iron Maiden, it almost seems more like the Allman Brothers or something related. They drop it down to the acoustic ballad approach for a reprise of the opening section later. It gets more accessible on the later choruses. There’s a bit of a metallic riff based section that serves as the closing section to the piece. While a few earlier songs have hinted at metal and Iron Maiden, when this one opens it feels like a cross between Maiden and Fates Warning. They take it to more melodic prog from there, but we get another of those accessible, mainstream metallic jams for the chorus. While they do an excellent job of alternating this between sections like that and moodier mellow motifs, this is a fairly straightforward cut. It includes a killer hard rocking instrumental movement later in the piece. It does turn a bit more metallic after this extended instrumental segment. There’s a hard rocking, envelope filtered sound to the main riff here. Pink Floyd is again a valid reference, but only so valid. There is a lot of psychedelic rock here and some great spacey textures. While this does work through some changes, it’s among the more straight-line oriented pieces here. A tolling bell and wind sounds open “Part VI: Singularity” as the epic is rejoined. Fairly metallic music rises up to serve as the backdrop for the vocals. As the next movement opens, keyboards bring with them an almost ELP-like sound. “Part VII: Isaiah 38:18” becomes more guitar oriented, riff driven and metallic as it continues. As they take it into “Part VIII: Mooncode,” it feels like a continuation at first. It mellows down from there, though and more melodic progressive rock continues the piece. The closing section of that movement (or should it be called the “segue section”) has an almost old-school Rush metallic vibe to it. They take into some more traditional progressive rock sounds as “Part IX: Contemplations” ensues. Still, it drops back for some nicely metallic music later in that movement. We get a return to melodic, rather psychedelic progressive rock from there. It’s quite a diverse segment that seems to bring back a number of earlier themes and motifs. The closing section (“Part X: The Page Turns”) feels like it does a great job of bringing the whole thing down to take it out while staying true to the musical themes previously presented. At over thirteen and a half minutes in length, taken by itself this is the second longest piece here. Of course, one could look at it as the second half of one seriously epic number, too.